Home News Big Day for Little Scientists! Big Day for Little Scientists! Prep and Year 2 students do Science the SUPER COOL way! 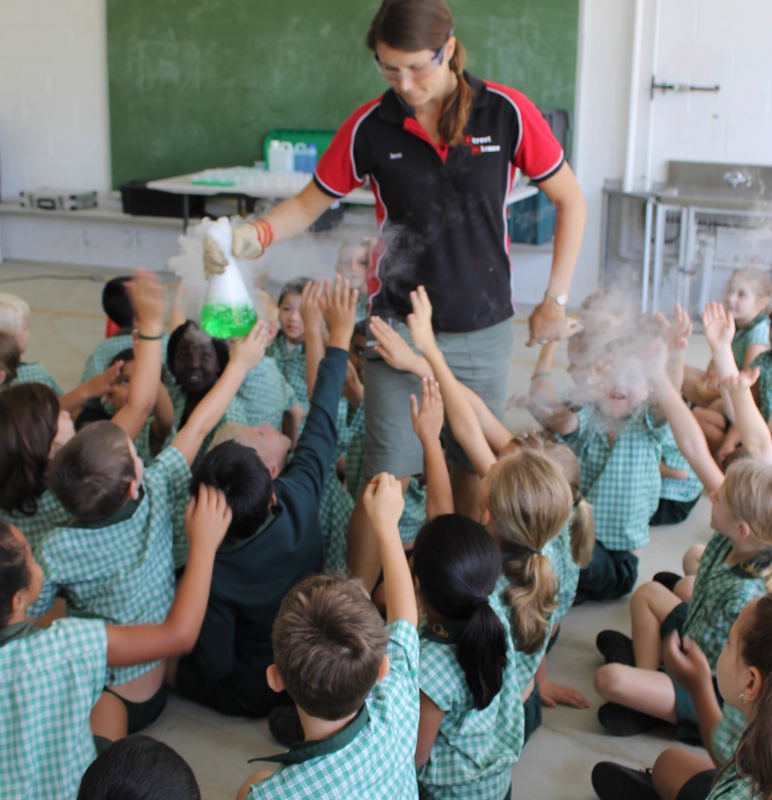 April 19 was a super cool day of hands-on Science activities for our Prep and Year 2 students. Two separate events were organised to enrich learning in their respective Science units: a “Science Spectacular ” day for Prep, and a visiting Street Science show for Year 2. The Year 2 students enjoyed a stage show and workshop by the Street Science group, focusing on a range of Year 2 Science Curriculum topics including forces, mixing materials and natural resources. They were entertained with a few incredible science demonstrations, then participated in two different ‘hands on’ experiments exploring changes to materials after measuring and mixing chemicals. “Everyone found it a very exciting and interesting morning!” observed Mrs Longwill, Year 2 teacher.